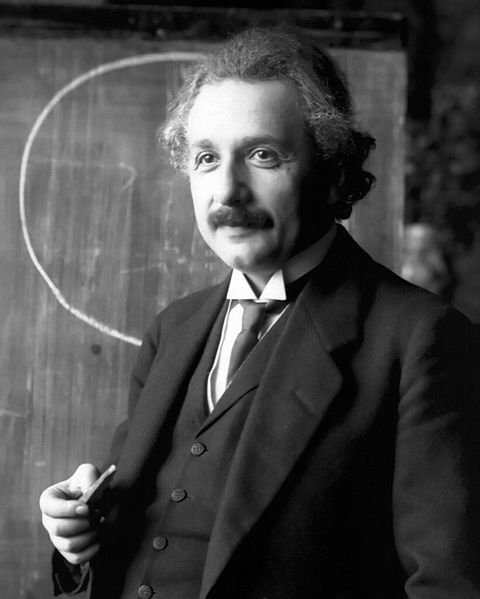 Spiritualism and Intelligence :I would like to pay my tribute to Albert Einstein( b. March 14, 1879, d. April 18, 1955), German-American Physicist who won the Nobel Prize for Physics in 1921 and who had developed the Special and General Theories of Relativity, Photon Theory of Light, Photoelectric Law, and work in theoretical Physics such as the equivalence of Mass and Energy. The scientific inquiry of Intelligence would establish its biological basis and show that all living organisms are Intelligent. What is Man? I would begin this investigation by sharing my motivation for asking this question. The motivation comes from a statement that is expressed in Sanskrit language: “SARVESHAM SWASTIR BHAVATU”, a statement that seeks the well-being of all people, of all races, of all cultures, of all religions, and of all nations. The meaning and purpose of life are affected by whatever we think is the real or true nature of man. It is important to recognize that our efforts to support the well-being of man would require correct understanding and knowledge of the real or true man. Spiritualism and Intelligence: I would like to suggest that Amoeba proteus is an intelligent living organism like human beings, and all other living entities. I would like to describe Intelligence as a biological characteristic and it influences a broad range of biological activities and living functions. 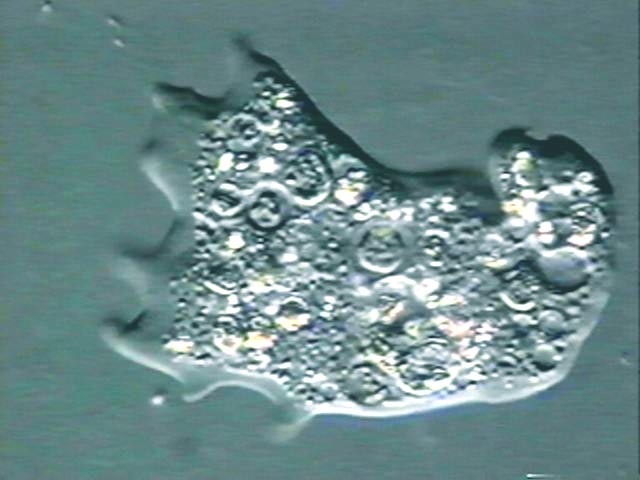 Amoeba proteus has the abilities of perception, cognition, responsiveness, communication,awareness of its environment, and consciousness of its own existence in its given environment. Its living functions such as the Power of Motion, Power of Nutrition, and Power of Reproduction demonstrate the operation of Intelligence to support, to maintain, and to preserve its existence. Intelligence can only exist in living matter and living entities and the word Intelligence(Latin. Intelligentia) involves perception, discernment, the ability to learn or understand from experience, and the ability to acquire and retain knowledge. Intelligence is associated with all-around effectiveness of a living organism to maintain its existence. Intelligence influences a broad range of living functions and could be observed in the performance of those functions. The potentiality or capacity called Intelligence has a biological basis. However, in popular usage, Intelligence is used to describe the cognitive( knowing ) component distinct from the affective( emotional ), and motivational( drive ) components of human behavior. Very often, people use the term Intelligence to describe the variations in the ability to learn, to function in society and to behave according to contemporary social expectations. I would like to differ from this conception of Intelligence as an innate ‘brain- power’- a mental faculty which distinguishes the more highly evolved animals from simple organisms, and tries to measure Intelligence levels and the differences among individuals and separate geniuses from average persons. I find it may not be reasonable to think of Intelligence as an exclusive function or faculty of the mind. Psychologists who describe the psychological basis of Intelligence tend to view Intelligence as a combination of the innate characteristics of an individual’s Central Nervous System which is molded by experience, learning, heredity, and environmental factors. Psychologists describe Intelligence as a collection of a large number of highly varied, although overlapping mental skills and abilities. Intelligence may include about 120 specific abilities which are grouped under three categories as: 1. logical processes, 2. the kinds of information processed, and 3. the products of such information processed( eg. classes, systems, relations ). It is understandable to know Intelligence as multidimensional and Intelligence serves as the basis for the performance of a wide variety of functions that involve knowing information, use or application of information, and physical performance or observed behavior which could be called Intelligent Behavior. Still, there is no single definition of Intelligence. There is no agreement if Intelligence could be directly observed and be accurately measured. Intelligence remains as a hypothetical ability. There is an abstract faculty that apprehends, conceptually and perceptually, relations among objects. I would like to present this abstract function of Intelligence to recognize relations among objects as a feature of a living cell and its ability to recognize the presence of other living cells present in its environment, its ability to recognize substances present in its environment, its ability to selectively use or dispose of molecules, its ability to express cooperation, tolerance, mutual assistance, defence, communication, and functional subordination in various biotic interactions with its own being, or in its interactions with other living species. My purpose is that of recognizing the fact of Intelligence as the characteristic of all living organisms and living cells and it could be important to recognize the association between Intelligence and Consciousness as the basis for a living entity to exist in its environment. We cannot afford to ignore the fact that millions of human beings have perished because of Intelligence displayed in operation and behavior of a variety of Viruses, Bacteria, Protozoa, other parasites, venomous creatures(eg. spiders, scorpions, and snakes) and carnivorous animals. 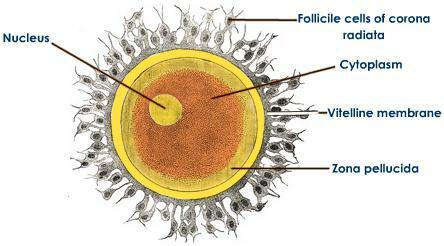 The single fertilized egg cell grows, develops, and differentiates to produce all the tissues and organ systems of the human being. 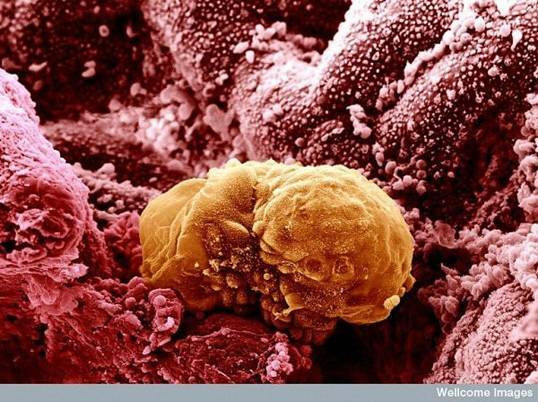 Brain, the chief organ of the Central Nervous System is derived from this fertilized egg cell. This Egg Cell is Intelligent and Intelligence represents an Innate ability and capacity to learn and adapt, to acquire, to retain, and to use Knowledge in the performance of a wide range of living functions. Spiritualism and Intelligent Behavior: Human Embryo Implantation at about 6 days after fertilization of egg cell is an example of Intelligent Behavior. Intelligence is identified as the Cognitive or Knowing aspect that is distinct from the Affective or Emotional aspect, and Motivation or Drive aspect of Human Behavior. Human Embryo is Conscious and Intelligent for it knows about its condition, or state, and fact of living. I suggest that we need to make a distinction between Intelligence and Intellect, the mental function which is associated with thinking. Brain like all other organs and tissues of the human body has grown and developed from the protoplasm of a single, fertilized egg cell. The intellectual abilities of brain are dependent upon the basic, underlying nature and ability of its living matter or protoplasm. Intelligence represents innate ability or capacity to learn and adapt. It has the ability to acquire new knowledge from experience. This potentiality and capacity of Intelligence is reflected in mental abilities like creative thinking and analytical thinking. In my view, both Consciousness, and Intelligence are the defining features of Soul or Spirit and hence I submit that the living matter or protoplasm is of Spiritual nature as it knows to formulate its relations with other living entities with a nature that exhibits traits of Compassion, Sympathy, and Understanding to achieve both internal, and external Harmony, Tranquility, and Peace to support its existence and living condition. Man because of his intellectual abilities entertains thoughts about immortality, eternal life, and everlasting life as he recognizes the potentiality and capacity of his Intelligence that sustains and maintains his living condition. Pingback: SPIRITUALISM – THE MOLECULAR BASIS OF SPIRITUALITY | Bhavanajagat.